Watch New Girl Season 5 Episode 18 online via TV Fanatic with over 6 options to watch the New Girl S5E18 full episode. Affiliates with free and paid streaming include Amazon, iTunes, Vudu, Netflix, YouTube Purchase, and Google Play. 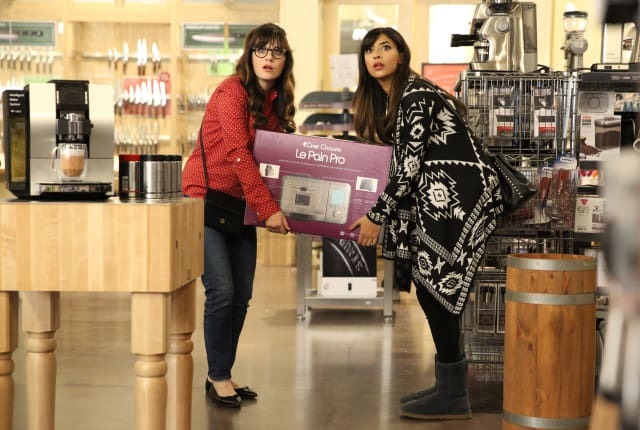 On New Girl Season 5 Episode 18, while under the influence Jess and CeCe ruin the wedding gift from Schmidt's mother and must figure out how to fix it.